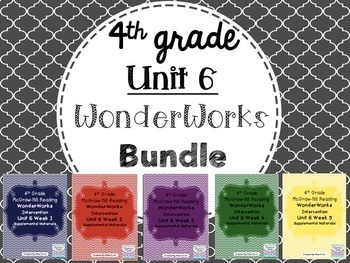 4th grade Unit 6 Reading Supplement for WonderWorks- BUNDLE! The WonderWorks reading series was created for Special Education groups/classrooms. 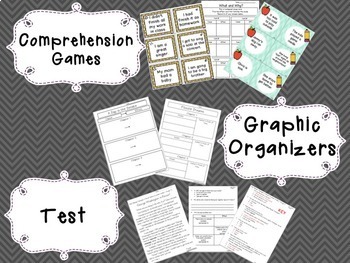 This unit focuses on the leveled reader. There are vocabulary cards included in color and black/white. 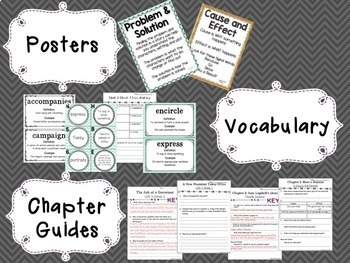 For each chapter of the book, there is a chapter guide to help direct thinking and support writing. My kiddos normally struggle with writing a ton!! There is also a modified test included. The items in this product were created using the 4th grade WonderWorks Reading Series. The resources are to be used in conjunction with the reading series. The teacher’s manual was used in creating this document.